Hearing what someone says does not always mean that you will interpret them correctly. The same principle often applies when reading the Bible (… or being married, for that matter). 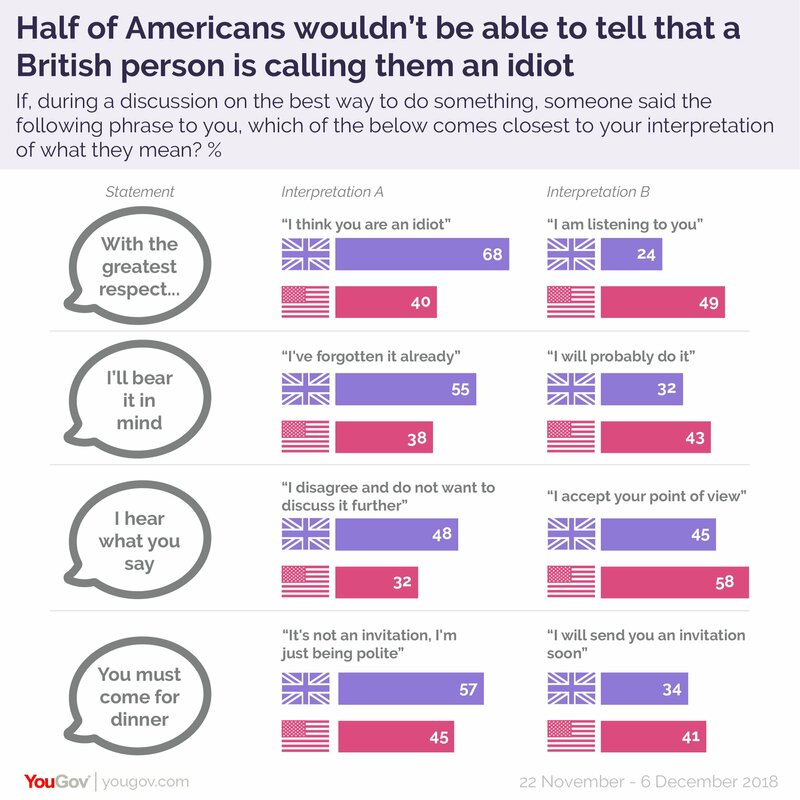 Read the results of the survey: Half of Americans would not be able to tell that a Briton is calling them an idiot. When is a Gentile Not a Gentile (or Pagan or Heathen)? The purple wildflower, heather, covers much of rural Scotland. In early medieval times, a person living among these heather fields, was considered to be a “heathen,” or “from the countryside,” or “from the heath.” However, in Christian usage, the term has taken on a number of meanings, sometimes controversial. A question came up the other night in a Bible study. When we read Matthew 18:15-17, Jesus is describing the principles of church discipline. If someone who claims to be a Christian, but who acts in a non-Christian manner and will not change their behavior, what is the rest of the community supposed to do? Jesus’ use of the description “Gentile” for someone who is making up their own rules for Christian behavior sounds confusing. Are there not “Gentiles” who are genuine Christians? If someone is already a “Gentile,” that is a non-Jewish person, how can you then be disciplined and treated as a “Gentile?” How do we make sense of this? New York City pastor, Tim Keller, offers a different approach than the one I put forward on how Genesis 1 relates to Genesis 2. Keller argues that Genesis 2 is actually historical narrative and that Genesis 1 fits more into a poetic genre, as opposed to a straight-forward historical narrative. Keller may be right. The point I want to make is that different believers can look at some of the non-essential interpretation matters in Genesis differently, and they can still agree on the big picture, namely the essential doctrines concerning the knowledge of the God of Abraham, Isaac, and Jacob as the Creator, as well as who is humanity in relation to that Creator. I call these the great “who” questions of faith: Who is God? Who is the Creator? Who is Man? These “who” questions are in contrast with the “how” questions: How did God create? How long did it take God to create? How does Genesis 1 relate to Genesis 2? The “how” questions are still important, but they pale in comparison to the great “who” questions that the Bible seeks to address. The following short video by Keller demonstrates some of the challenges in determining the appropriate context and genre of this very ancient passage of the Bible in early Genesis. Keller and I both affirm that no one takes all of the Bible completely literally, and he gives his brief analysis as to what type of interpretive “grid” should be used when reading the Bible. We can still debate the smaller questions, but let us keep in the front of our minds the big picture. “Christians who accept the Bible’s authority agree that the primary goal of Biblical interpretation is to discover the Biblical author’s original meaning as he sought to be understood by his audience. It has always meant interpreting a text according to its literary genre. For example, when Christians read the Psalms they read it as poetry. When they read Luke, which claimes to be an an eyewitness account (see Luke 1;1-4), they take it as history. Any reader can see that the historical narrative should be read as history and the the poetic imagery is to be read as metaphorical. The difficulty comes in the few places in the Bible where the genre is not easily identifiable, and we aren’t completely sure how the author expects to be read. Genesis 1 is a passage whose interpretation is up for debate among Christians, even those with a “high” view of inspired Scripture. I personally take the view that Genesis 1 and 2 relate to each other the way Judges 4 and 5 and Exodus 14 and 15 do. In each couplet one chapter describes a historical event and the other is a song or poem about the theological meaning of the event. When reading Judges 4 it is obvious that it is a sober recounting of what happened in the battle, but when we read Judges 5, Deborah’s Song about the battle, the language is poetic and metaphorical. … I think Genesis 1 has the earmarks of poetry and is therefore a “song” about the wonder and meaning of God’s creation. Genesis 2 is an account of how it happened including Genesis 1. But it is false logic to argue that if one part of Scripture can’t be taken literally then none of it can be. That isn’t true of any human communication. What can we conclude? Since Christian believers occupy different positions on both the meaning of Genesis 1 and on the nature of evolution, those who are considering Christianity as a whole should not allow themselves to be distracted by this intramural debate. The skeptical inquirer does not need to accept any one these positions in order to embrace the Christian faith. Rather, he or she should concentrate on and weigh the central claims of Christianity. Only after drawing conclusions about the person of Christ, the resurrection, and the central tenets of the Christian message should one think through the various options with regard to creation and evolution. That last part shows some real wisdom that followers of Jesus should keep in mind at all times. Contrary to some well-intended yet misguided approaches, I do not need to debate the age of the earth or even the scientific theory of evolution with a non-believer. Instead, I should focus first on the central claims of the Gospel: Jesus Christ and Him crucified and risen from the dead. A classic case in sermons where this sometimes becomes a big deal is in John 21:15-17. Jesus asks Peter three times if Peter loves him. The first two times, Jesus asks Peter if he loves Jesus with agape love, but both times, Peter answers that he loves with phileo love. As the sermon unfolds, you hear that Peter is being a bit of a smuck by only responding with phileo love towards Jesus instead of the spiritually superior agape. So the third time, Jesus lowers the bar and simply asks if Peter will love Him with phileo love, whereby Peter still responds with phileo love. A variety of applications are usually given here, one being that in his divine agape love, Jesus graciously condescends towards us by acknowledging our inability to love God back unconditionally, or some other such idea. Well, I am embarrassed to say it, but I must confess it. I have used this teaching myself with other people without thinking much about it. However, the problem is that the illustration here is well-meaning but most probably unwarranted. It is a common example where sometimes fallacies in Biblical interpretation, such as “word studies,” can lead people astray. Why is understanding the context so important when it comes to interpreting the Bible? Because it is very easy to think the Bible is saying something that is completely alien to what the original author had in mind. Here is a short but sweet video (less than 4 minutes) by Alan Shlemon at Stand to Reason ministries that helps to explain context. Here are the Bible verses that Alan is talking about from John 14: John 14:16 and John 14:26. For more detail regarding why Muslims see Muhammad as being predicted by the Bible, look here. Interpreting the Bible is all about understanding the basic concepts of hermeneutics, which is a fancy word that simply refers to the study of the interpretation of texts. HT: Josh Shoemaker at DiscovertheBible.wordpress.com.